Firstly I would like to congratulate everyone in our club for their input and successes this year which contributed to our club winning "Club of the Year". Above is a picture of the beautiful trophy. f. if eighteen (18) years of age or over , be elected or appointed as a Delegate to represent the Club at general meetings of SLSNZ. There are 4 positions vacant on the committee. This is a great opportunity to become part of an innovative and growing club. We are in the process of the rebuild of our current facility and being part of the committee is a great way to help the club through this process. Please contactpresident@spencerpark.co.nz orinfo@spencerpark.co.nz. Swimming is continuing all through winter. Just a reminder we have lanes booked at Graham Condon every Wednesday night from 7 - 8.30. The younger swimmers start at 7 and a faster session is at 7.45. The equipment required for pool champs is there every week. Make sure you are practicing the events you want to compete in for pool champs. This is the elite completion for Pool champs held in Auckland from 7 - 9 October. Should the club decide to send a team to this event it will be selected on placings achieved at both Canterbury and Southern Pool Champs. Although its winter, the Pool champs are coming up so if you need new togs, swim caps or clothing orders, text Kaylene 0274298050. Please note that polos & hoodies are not kept in stock, and there is a two-three week delivery time. We still have plenty of 'old style' togs in stock. These are $20 pair or $30 for two pairs. Although they can't be worn at competitions, they are perfect (and cheap) as training togs. 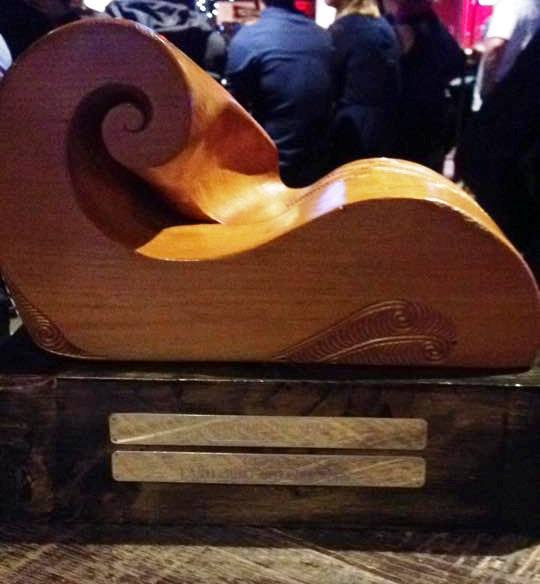 Rarangi Surf Club host this competition over Canterbury Anniversary Weekend every year. This year's comp will be held on Saturday 12 November. I know it's a wee way away but it comes around pretty quickly. As a club we camp at Whites Bay and arrive on the Thursday or Friday (Show Day) with the comp being on Saturday and travel home on Sunday. There has been in the past around 50 from Spencer Park attend. It's a great opportunity to start the season on some great water to get the confidence up and have a go on larger boards than would be possible in our surf. There is no definite commitment required for this one yet but just a heads up to know it's coming. Jim Wellacott is coordinating masters to train and hopefully compete at Nationals in Christchurch next year. This is the first year in a long time that Senior and Masters Nationals have been held in Christchurch, so it's a great chance to compete for our club. We are also hoping to compete at World masters Games in Auckland in April 2016. If you are interested in being a part of any of this, please send Jim a text 0274723353 or Linda 0274086276. Everyone is welcome.